Links to Louisiana fertilizers, organic fertilizers, fungicides, nutrients, agricultural pesticides, agricultural insecticide manufacturers, distributors, suppliers and traders. Retail garden center that specializes in organic, natural, and/or sustainable gardening products, and custom soil / compost mixes. Full inventory of edible nursery stock for sale. 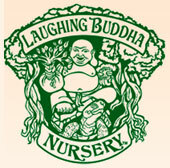 In fact LBN specializes in the growing of culinary herbs, vegetables, and fruiting trees/shrubs. If you're looking for a resource that will help you grow your own foodstuffs at home or help you grow your landscape without the use of toxic chemicals then you've come to the right place. We've worked hard to bring you the lowest possible prices on growing supplies, fertilizer, pest control, seeds, garden tools and so much more! Everything you need for your garden or farm all in one place. We only carry premium quality products. Began operation in 1955. OFC is headquartered in Monroe, Louisiana and blends fluid fertilizer for retail distribution to farm customers through Louisiana. Production facilities are located in Monroe and New Iberia, Louisiana. OFC maintains two port terminal facilities...one in Waterproof, Louisiana and the other in Lettsworth, Louisiana. In addition, OFC has a number of satellite fertilizer retail outlets serving the Louisiana farming community.